The films of Cuban filmmaker Tomás Gutiérrez Alea give insight into how the Cuban revolution that had inspired so many people all over the world had come to a crisis. His films always defined the limits of expression in revolutionary Cuba (1). Unlike any other Cuban filmmaker, Alea was able to retain a sophisticated balance between his dedication to the revolution and his critical judgement of it when its ideals had been betrayed. Throughout his career, Alea constantly upheld his personal vision and never put his critical eyes to rest. “To view and study Alea’s films is to see revolutionary Cuba through the eyes of the island nation’s most important and consistently critical filmmaker,” says Paul Schroeder. (2) What’s more, the lively and complex ways Alea’s films depict life in revolutionary Cuba defeat the stereotype of communist art as dull propaganda. In films such as Death of a Bureaucrat (1966), Memories of Underdevelopment (1968) and Guantanamera (1994), Alea describes life in Cuba in subtle, often comic ways. Artistically and intellectually, the trajectory of Cuban cinema – from cinéma vérité to experimentalism, and from neorealist drama to social comedy – has paralleled the trajectory of Alea’s directorial career. Similarly, Alea’s films are a primary source of cultural politics in revolutionary Cuba, a fact that allows one to study his films directly against the political climate in which he lived and worked. Through his films, Alea focused on speaking frankly about the course of Cuban revolution and its effect on the future of Cuba. From his first feature film, Stories of the Revolution (1960), to his last, Guantanamera (1994), Alea was able to explore his own complicated relationship with Cuban revolution: while working within the system, he always criticised its shortcomings, insisting on public discourse. The most famous Cuban director (and certainly the most beloved by his fellow countrypeople) Tomás Gutiérrez Alea (known to his close friends and colleagues as Titón) was born on December 11, 1928 to a bourgeois, politically progressive family. Persuaded by his father, he went to study law, although his personal interests gravitated toward cultural and political issues. 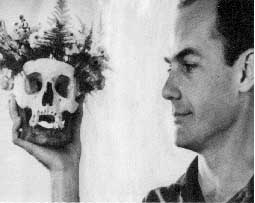 Upon graduating with a law degree from University of Havana, he studied film at the Centro Sperimentale della Cinematographia in Rome (which had spawned, amongst others, Michelangelo Antonioni), where he fell in love with cinema and where he directed his first neorealist film, El Mégano (1954), (3) with Julio Garcia Espinosa, another filmmaker he met at Centro Sperimentale. It has been noted that this film marked the very beginning of the New Latin American Cinema, the ‘new wave’ in cinema that grew out of the desire by many Latin American filmmakers to unveil the conflicting realities of their own countries and to do this by exploring the political potential of the filmic medium (4). 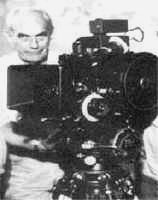 Alea was one of the founders of the Instituto Cubano del Arte y la Industria Cinematográficos (ICAIC), which was created in 1959 in order to vigorously produce and promote cinema as the most progressive vehicle for communicating the ideas of the revolutionary through, for the most part, documentaries, although some fiction films were made there as well. The ICAIC recognised film as the most powerful and important art form in modern life, a voice of the state, and, unquestionably, the most accessible form of distributing revolutionary ideas to the masses. In its first 24 years, ICAIC produced nearly 900 documentaries and over 112 feature films. In his early filmmaking days, having a distinctive personal voice, being an auteur in the European sense of the word, meant a lot less to Alea than belonging to this conceptually new and collectively important film project with national weight and significance. Over the years, he has evinced a fondness for both historical and contemporary stories, always marked by politically pointed commentary and a satirical twist that many critics noted as influenced by the films of Luis Buñuel. An ardent supporter of the revolution that dispatched the despotic Batista and brought Castro to power, Alea nevertheless had an uneasy relationship with the political regime of the revolutionary Cuba under Castro. Repeatedly in his work, the director painted a more complex portrait of Cubans than the rest of the world was able to imagine. He made some gutsy critiques of the socioeconomic and political realities of his land, as he pondered the persistence of a petty-bourgeois mentality in a society supposedly dedicated to the plight of the working poor. From the beginning Alea was committed to using film as an instrument of social awareness, and Neorealism, with its desire to expose the true face of the working poor, was a perfect stylistic vehicle for such exploration. His first feature work, Stories of the Revolution, was not necessary a successful one but rather a telling tale about the traumatising and inequitable effect revolution had on society. The film depicted the official history of the revolution and, following the traditions of Neorealism, used non-professional actors and was shot on actual locations to bring about the prosaic realities of every day life. The weakness of Stories, however, is that its narrative structure was rather diluted, and the overall tone of the film, oscillating between epic and drama without being either, didn’t amount to the film’s success. After producing a series of shorts while working for a Mexican-owned film production company, Alea decided to take a break from making documentaries to dedicate himself to an entirely new genre – comedy – as it gave him a chance to experiment with narrative and comic technique. His next film, Twelve Chairs (1962), was based on a satirical novel of the same name by two Soviet writers, Ilya Ilf and Eugene Petrov (5). The zest of the story comes from its ridiculing of the challenges of a new, socialist order: when a wealthy woman resists the thought of giving her possessions to the collective, she hides her treasures in twelve chairs of a dining set. Her nephew finds out about it after her death, when everything has become nationalised, and starts chasing the chairs all over the country. Alea, combining new comic and narrative tropes, decided to alter the original story and had the protagonist embrace a new, socialist reality at the end of his tumultuous search, thus demonstrating Alea’s own belief in revolutionary ideas. Despite the criticism it received at the time (Alea was criticised for having created his characters too schematic), the film is significant as “an example of socialist realism because it presents in a very direct way a critical moment for our society, a moment of transition when one can observe very clearly the fight between the old and the new” (6). In his next film Death of a Bureaucrat, Alea continued experimenting with the comic genre. This black comedy criticises, at an early point in the Castro regime, the administrative muddle of the political system. The main protagonist’s uncle dies and asks to be buried with his identification card. However, the uncle’s wife must present the card in order to receive her husband’s pension. What follows is a series of darkly comic adventures that nearly drive the nephew mad, and culminate in a hilarious scene in which the desperate nephew, in one of his futile attempts to secure the pension, strangles the main bureaucrat at the cemetery. The film’s stylistic exuberance pays tribute to a variety of cinematic styles and quotes from the masterpieces of cinema. Paul Schroeder notes that “in the film, there are direct visual quotes of Harold Lloyd’s Safety Last in the clock sequence, of Laurel and Hardy’s Two Tars in the final sequence, of Buñuel’s Un Chien andalou and Bergman’s Wild Strawberries in two different flash dreams, and of Chaplin’s Modern Times in the opening sequence” (7). Alea’s next film was to join these masterpieces of the world cinema itself. Memories of Underdevelopment is based on Edmundo Desnoe’s novel Inconsolable Memories. The story takes place during a transitory period in Cuba, between the Bay of Pigs invasion in 1961 and the Cuban Missile Crisis in 1962, events to which the film makes direct reference by using fragments of newsreels, recording of speeches, filming with hidden camera (8). Alea made full use of the handheld camera technique in addition to voiceover, which, despite the protagonist’s moral ambiguity, give the film a remarkable level of unity and completeness. Without any particular political affiliations of his own, Sergio, a well-off intellectual, becomes increasingly self-absorbed and alienated from the world around him when, at the onset of the revolution, his wife and friends leave Havana. Meandering the streets of the city at this “time of departure”, Sergio, while considering his countrymen “underdeveloped” in order to satisfy his intellectual quest to become a writer, is confronted with his own inability in self-realisation. Aesthetically, Memories resembles the early-’60s work of Antonioni. Its mood, conveying the characters’ labyrinth of moral ambiguity and detachment and the use of long, isolating camera takes gazing at deserted streets and characters’ faces, are all key elements of the Italian director’s oeuvre. Although Alea had touched upon many aspects of Cuban society – the dual nature of its political regime, the identification of the individual, collective consciousness (“Cubans need someone to think for them,” says Sergio), and the battle of the sexes, a theme he will later discuss in his two other landmark films, Up to a Certain Point (1984) and Strawberry and Chocolate (1993) – audiences were disturbed by the portrayal of a noncommittal individual who was only concerned with himself, his thoughts and the search for sexual gratification. Perhaps they were not prepared for a film of such calibre? The sophistication, the mood and the inner voice of the film (Sergio’s thoughts and experiences as he is confronted by the new reality) are surprisingly European. Sergio is portrayed fundamentally as an alienated outsider – an approach that allows Alea to make an almost sceptical statement about the individual’s place in the march of history. The film would not have been as effective had Alea not constructed it as richly as he did – by using documentary and semi-documentary footage to show the reality around Sergio as he witnesses it. This renders the film very personal, and is employed as a backdrop to the political reality in Havana, giving the film its philosophical, ruminative touch. …have believe themselves to be the sole depository of the revolutionary legacy; those who know what the socialist morality is and who have institutionalized mediocrity and provincialism… They are those who tell us that people are not mature enough to know the truth…This film is also directed to them, and is also intended, among other things, to annoy them, to provoke them, to irritate them (10). I think the term “underdevelopment” refers not only to the struggling Cuban economy at that time or its period of transition as much as it shows Sergio’s inability to connect to people and things, to make the connection between himself and society. The next chapter in Alea’s career opened up for him a new area of exploration: the historical film. The reason many Cuban filmmakers turned to historical dramas instead of making films dedicated to contemporary events is that the ICAIC switched the focus to historical films when the political atmosphere acquired distinctive oppressive undertones (Cuba supported Czechoslovakia’s invasion by the Soviet Union and the closure of the University of Havana’s Department of Philosophy). The period that followed the vibrant 1960s has become known as the ”grey” years during which Cuban art lost its vitality (11). For this reason, Alea turned to mapping out Cuban history and made A Cuban Fight Against Demons (1972), a film in which he traced the precursor of the Cuban Revolution when, in 1672, Cuba fought against Spanish control. 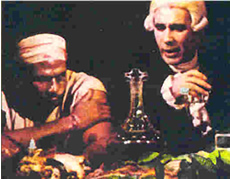 In The Last Supper (1976),Alea also portrayed Cuba’sambivalent attitude toward slavery. Once Memories of Underdevelopment was completed, Alea envisioned making a film about an individual committed to the revolution, instead of a brooding, self-absorbed one. He eventually turned the lens onto himself and made Up to a Certain Point (1984), a film that is fundamentally a love story between a middle-age documentary filmmaker and a young single mother working in the docks of Havana. The film effectively examines the psychological split between the dynamic ideas of revolution and the reality of social order. The production was preceded by the publication of Alea’s critical study, Dialectica del espectado , in which he outlined how the ICAIC should have responded to the changing demands of the revolutionary societal process. Up to a Certain Point follows a group of documentary filmmakers who are shooting a film about Cuban machismo in the docks of Havana. While researching this project, Oscar, a married, middle-aged screenwriter, meets Lina, an independent young dockworker. Their ensuing romance and its subsequent finale are reminiscent of that in Memories of Underdevelopment, further dissecting the questions of liberation and bourgeois intellectualism. Without realising it, Oscar is the same man himself as the dockworkers he is portraying in his film. It is probable that Oscar represents Alea – just as Sergio could very easily stand in for the director. By turning himself in for such examination, Alea not only possibly admits to being as sexist as the men he depicts in his documentary, but, more importantly, is not afraid to make a statement about the pretensions and contradictions of Cuban society. Stylistically, the film is engaged in portraying clearly defined boundaries between social classes – through the use of music, language, and gesture. There is also a second subtext in the film, akin to an almost Godardian parallel between life and work, and the societal co-dependency between people’s personal and private lives. The representation of several character types is very important to the film. Arturo, the director whom Oscar consults and the one who represents a self-righteous stereotype of a bureaucrat is depicted as yet another “macho”. It is perhaps people like Arturo that Alea provoked in Memories of Underdevelopment. The female character Lina is developed a lot more carefully and thoroughly than Elena, with whom Sergio was having a fling in Memories. Lina is the embodiment of revolutionary consciousness (she actively participates in workers’ meetings), and she rebukes the persistent machismo of Cuban men: she choose to divorce her husband and decided to remain independent when realizing that Oscar is not the man for her. In 1994, Strawberry and Chocolate became the first Cuban film to receive an Oscar nomination for Best Foreign Film. This is not the first film to examine the often-contradictory concepts of art and propaganda, but the balanced perspective presented here instils the issue with freshness. In my opinion, this film is perhaps the best example of Alea’s mature style, precisely because it exemplifies the director’s approach to creating a film as a process in which the relationship between director and the actors amounts to the film’s success. 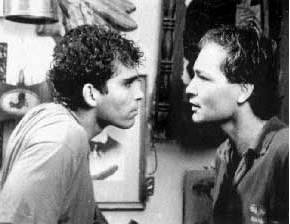 The story, set in 1979, concerns the relationship that gradually develops between the flamboyantly gay Diego and a very young, politically committed university student, David. David feels threatened by Diego’s openly frank homosexuality as much as he is threatened by what he senses could be Diego’s rejection of revolutionary ideas. The official ideology in Cuba in the 1970s focused on the importance of ideological unity amongst Cuban people, which ruled out any precedent of “false intellectuals” who promote snobbism, extravagance, homosexuality or any other form of social aberration (12). At first, Diego is an example of such aberration for David, but gradually, the naive and uncompromising student learns that Diego is not a “false intellectual” but an authentic, thinking, well-educated artist. Even though in the course of the film it is David who undergoes a major emotional transformation, Diego is the main focus and protagonist of the film. He is complex and charismatic, religious (he admits to believing in Jesus) but committed to the ideas of the revolution in his own personal ways. The union between Diego and David reveals, in many instances, Alea’s attitude toward Marxism-Leninism as an official Castro ideology at that time. With his liberal, eccentric, tolerant and cosmopolitan views, Diego is a lot more attractive than naive David, whose head is filled with rigid socialist ideology. Even the contrast between the cramped, stifling dormitory room David shares with another ardent student and Diego’s spacious, bohemian, and book- and record-filled flat challenges the appeal of Marxist-Leninist ideals. The acting style and character development is essential in Alea’s work, and this fact becomes increasingly evident in the director’s late films. Although Alea always used carefully prepared scripts, improvisation during shooting was encouraged. The filmmaker had developed a group of staple actors who had come to realise his fondness for Cubans, their country, their travails, sadness, and joy. Among those, Alea’s wife Mirta Ibarra, and Jorge Perugorria deserve special mention. Perugorria’s portrayal of Diego in Strawberry and Chocolate is almost hypnotising – so believably responsive, vulnerable, and sensual it is. Ibarra is an actress of luminous, smiling, feminine talent, as is evident in her portrayal of Lina in Up to a Certain Point, Georgina, the long-suffering wife of a local bureaucrat named Adolfo in Guantanamera, and the sometimes suicidal, sometimes comically religious and sometimes irresistibly naive former prostitute, put out of work by the revolution, in Strawberry and Chocolate. The most recurring theme in Alea’s films has been the intellectual defining his place in the revolutionary society: Memories of Underdevelopment, Up to a Certain Point, and Strawberry and Chocolate are all united by this idea. Alea’s films are complex and open to interpretation. His critiques drew on satire and irony, and they succeeded because of his profound understanding of human nature, its strengths and frailties. Tomás Gutiérrez Alea brought an unprecedented vitality and exuberance to Cuban cinema, rich with ideas and interpretations, to create an often contradictory, complex connective tissue of life in Cuba. Portraying everyday life and ordinary people, he was able to endow them with all the eccentricities of the world, yet they never appear cheesy or cliché. Alea’s films provide curious insights into conformity and freedom, maturity and stagnancy, the political and personal, and sanity and drama as inextricable components of a thick and vivifying whole, that being life. Tomás Gutiérrez Alea, Dialectica del espectador (The Viewer’s Dialectic), La Habana, José Martí Publishing House, 1982, reprinted 1988. Julianne Burton, Cinema and Social Change in Latin America, Conversations with Filmmakers, University of Texas Press, November 1993. Michael Chanan, The Cuban Image: Cinema and Cultural Politics in Cuba, Indiana University Press, Bloomington, 1985. Michael Chanan, Thomas Gutiérrez Alea: Memories of Underdevelopment and Inconsolable Memories, Rutgers Films in Print, New Jersey, 1990. Zuzana M. Pick & Thomas G. Schatz, The New Latin American Cinema: A Continental Project, Texas Film Studies Series, University of Texas Press, 1993. Paul A. Schroeder, Tomás Gutiérrez Alea: The Dialectics of a Filmmaker, Routledge University Press, 2002. A website on Cuban history and culture. Alea films can be purchased here. Paul A. Schroeder, Tomás Gutiérrez Alea: Dialectics of a Filmmaker, Routledge, 2002, p. xii. Zuzana M. Pick & Thomas G. Schatz, The New Latin American Cinema: A Continental Project, Texas Film Studies Series, University of Texas Press, 1993, pp. 47–50. Edmundo Desnoes, “Habla un director”, Revolucion [La Habana], January 8, 1963.